Atheneum Books for Young Readers, 9781442443457, 48pp. What's the best part of being an astronaut? Is it the excitement of leaving the Earth behind at the mind-boggling speed of 25,000 mph? Is it the chance to float around a shuttle in zero gravity? Or make new scientific discoveries? Or go out on a space walk? Few of us get to answer these questions for ourselves by rocketing into space. But a group of kids took the first step by going to U.S. Space Academy. For close to a week, they tried on flight suits and the lives of training astronauts. They used NASA simulators and learned how to walk on the Moon and how to work without gravity. They walked, talked, read, lived space travel. 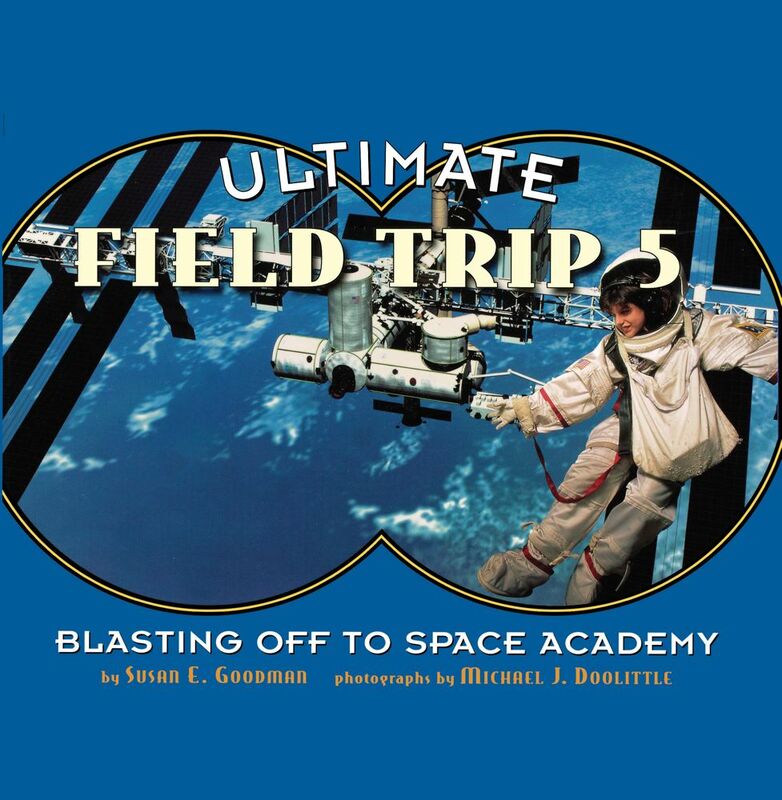 Susan E. Goodman and Michael J. Doolittle bring the adventures of science and space travel alive in the fifth book of the Ultimate Field Trip series. Vivid storytelling and photos help readers don mental space suits and go along for the ride. To research her various books and magazine articles, Susan E. Goodman has snowshoed through mountain forests, tried using a blowgun in the Amazon, and scared a moose at rest -- and herself in the bargain. Years ago, she went to U.S. Space Camp as a participant and loved the 1/6 Gravity Chair. Ms. Goodman lives with her family in Boston, Massachusetts.